As speech language pathologist part of my job is to play! Since play assessment is a routine part of speech language evaluations for preschool and early school-aged children, I often find myself on the carpet in my office racing cars, making sure that all the “Little People” get their turn on the toy Ferris Wheel, and “cooking” elaborate meals in complete absence of electrical appliances. In fact, I’ve heard the phrase “I want toy” so many times that I actually began to worry that I might accidentally use it in polite company myself. The benefits of play are well known and cataloged. Play allows children to use creativity and develop imagination. It facilitates cognition, physical and emotional development, language, and literacy. Play is great! However, not every culture values play as much as the Westerners do. In Western culture, early choice making is praised and encouraged. In contrast, traditional collective cultures encourage child obedience and respect over independence (Johnston & Wong, 2002). Choice making may not be as encouraged since it might seem like it’s giving the child too much power. It would not be uncommon for a child to be given a toy to play with which is deemed suitable for him/her, instead of being asked to choose. The children in these cultures may not be encouraged to narrate on their actions during play but expected to play quietly with their toy. Furthermore, if the parents do not consider play as an activity beneficial to their child’s cognitive and emotional development, but treat it as a leisure activity that helps pass the time, they may not ask the child questions regarding what he/she are doing and will not expect the child to narrate on their actions during play. Consequently, in our assessments, it is very important to keep in mind that children’s play is affected by a number of variables including: cultural values, family relationships, child rearing practices, toy familiarity as well as developmental expectations (Hwa-Froelich, 2004). As such, in order to conduct balanced and objective play assessments, we as clinicians need to find a few moments in our busy schedules to interview the caregivers regarding their views on child rearing practices and play interactions, so we could objectively interpret our assessment findings (e.g., is it delay/disorder or lack of exposure and task unfamiliarity). Farver, J. M., Kim, Y. K., & Lee, Y. (1995). Cultural differences in Korean- and Anglo-American preschoolers’ social interaction and play behaviors. Child Development, 66, 1088- 1099. Farver, J. M., & Shinn, Y. L. (1997). Social pretend play in Korean- and Anglo- American pre-schoolers. Child Development,68 (3), 544-556. Hwa-Froelich, D. A. (2004). 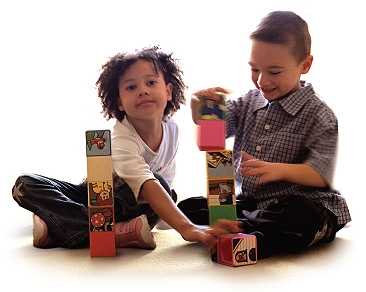 Play Assessment for Children from Culturally and Linguistically Diverse Backgrounds. Perspectives on Language, Learning and Education and on Communication Disorders and Sciences in Culturally and Linguistically Diverse Populations, 11(2), 6-10. Hwa-Froelich, D. A., & Vigil, D. C. (2004). Three aspects of cultural influence on communication: A literature review. Communication Disorders Quarterly, 25(3),110-118. Schulze, P. A., Harwood, R. L., & Schoelmerich, A. (2001). Feeding practices and expectations among middle-class Anglo and Puerto Rican mothers of 12-month-old infants. Journal of Cross-Cultural Psychology, 32(4), 397–406.